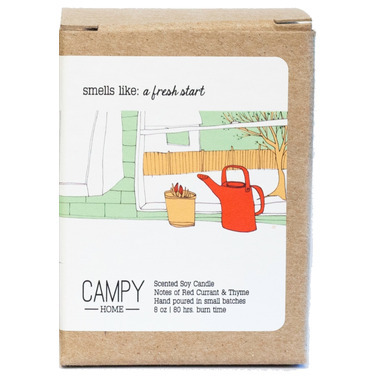 Campy's Fresh Start candle smells like Red Currant and Thyme. It's a delightful floral, wine-like blend that will make you think of happy hour after a long day slugging it. It's Canadian, and it's soy, both of which are important to me. 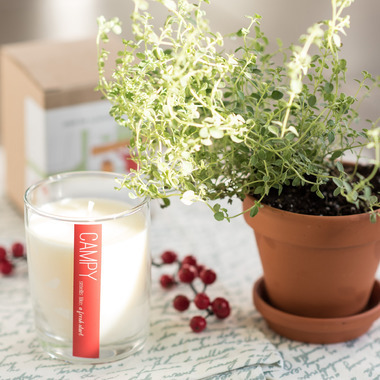 The scent is lovely; the red currant is prominent but not overbearing. The packaging and the glass container are solid and attractive.